I cannot believe Thanksgiving is next week! Where has this year gone? I am loving the autumn color explosion at the flower stands in my neighborhood. 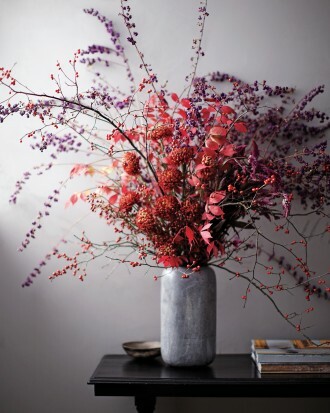 I want to incorporate some of those colors into interesting Thanksgiving floral arrangements. Lo and behold I found the ones below on her website. 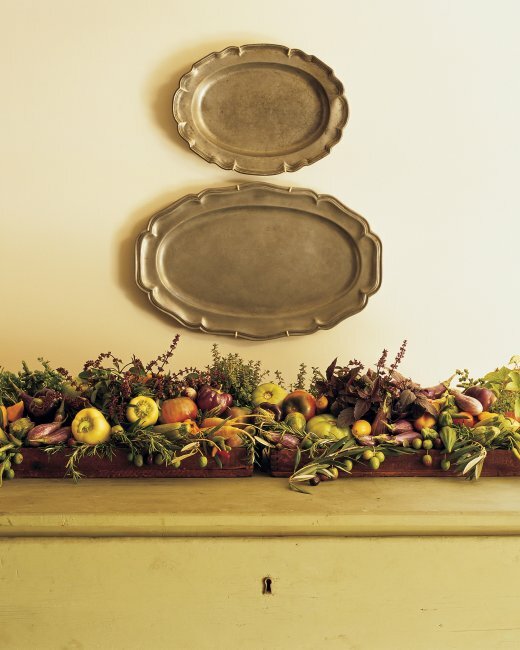 What a creative way to use vegetables, flowers, and herbs. 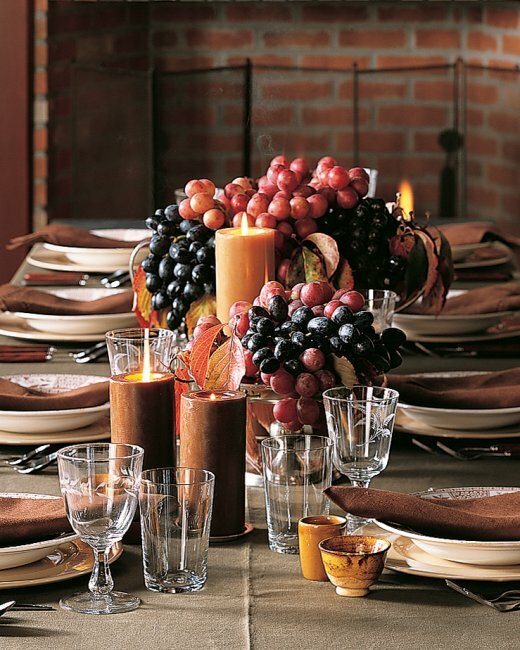 While this arrangement is perfect for Thanksgiving, it would also work all fall and winter. You could swap in whatever is in season. This arrangement has less of a bounty from the earth vibe and is a little more dramatic and modern. I wouldn’t put it on my dining table (it would block guests’ faces) but instead on the bookcase in my foyer. Great colors in this rustic arrangement. So warm and inviting. I knew Martha wouldn’t let me down. To see other beautiful arrangements from Ms. Stewart, click HERE. Did you celebrate with a turkey? My last november in Milan I decided to throw a Thanksgiving party to celebrate my imminent departure for the States and finding a whole turkey was a giant hassle! No, this year I went to Sicily. Quite a few of my friends, Americans expats and Italians who are married to Americans, had Thanksgiving dinners, on Saturday. It’s easy to find whole turkeys here (Rome) but you have to ask your butcher in advance. Years ago, before I moved Italy, I happened to be in Venice Thanksgiving week and a friend in Milan invited me to her place for Thanksgiving. It was one of the best dinners ever. Her turkey was delicious. I have yet to cook one!